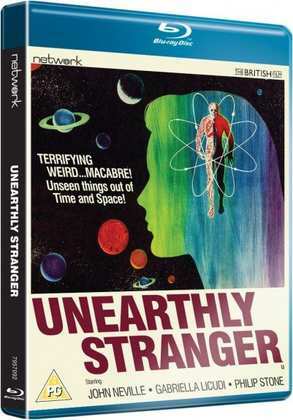 Home entertainment and independent film distributor Network Distributing launched 'The British Film' range in April 2013 as an ongoing project to release several hundred vintage British films – with many unseen for decades. Network applies the same criteria and ethic to 'The British Film' as it has to its award-winning British television releases – this approach allows the release of many rare and forgotten films, hidden treasures of cultural heritage many of which were never widely shown in the cinema. By including these rarities alongside more popular titles, Network continues to redress the balance of appreciation for British film as a whole – making these films available in the best possible quality on DVD and Blu-ray for a new generation of viewers. The range went live with the first of a series of The Ealing Studios Rarities and now into its third year, 'The British Film' has released over 200 films including BAFTA-winning The Ipcress File, Ken Russell’s French Dressing, The House in Nightmare Park, Powell and Pressburger's Black Narcissus and the iconic animated feature Animal Farm, amongst other significant British films. Forthcoming titles from 'The British Film' collection include Hitchcock's Sabotage in HD, the continuation of The Jessie Matthews Revue series starring Britain's best-loved musical film star from the 1930s, and crime drama Robbery from director Peter Yates starring Stanley Baker.